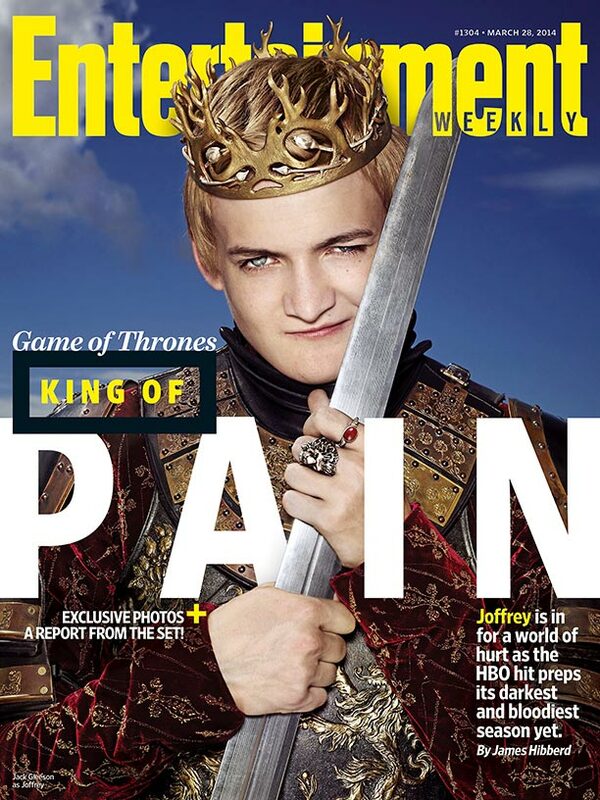 » Who Else Wants to Slap King Joffrey’s Smug Face Right Off the Newsstand? Who Else Wants to Slap King Joffrey’s Smug Face Right Off the Newsstand? Totally honest question: Is it OK to want to punch a magazine cover? Maybe punch is too barbaric an impulse; our house sigil is an elegant dove, not an enraged bear. Should we downgrade to “slap the broadsword out of his grubby little hands and tell him Uncle Kingslayer is also his daddy”? Just anything to get him to stop winking at us so smarmily. Stop. Stoppppp. Someone also probably needs to tell him that’s not how you hold a sword. Those things are sharp; he’s going to cut himself and get his royal blood all over the nice rug. Send him to bed without dinner again. And no crossbows. You heard us, no crossbows. Not after what happened the last time. Oh, as long as we’ve got you here, there’s another Season 4 trailer. INXS is an interesting musical choice.